Edmonton police issued a warning Thursday about an increase in personal robberies near transit stops. 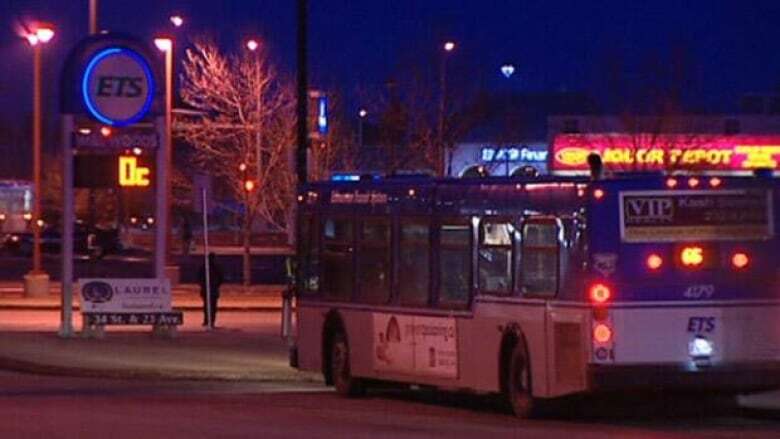 Edmonton police are warning the public after an increase in personal robberies near transit stops. Since Jan. 5, officers have investigated 10 similar reports of thefts of electronics throughout Edmonton, a news release stated. The robberies occurred at or near LRT stations, transit stations and bus stops during evening hours, police said. 'We advise citizens to be aware of their surroundings," said Acting Staff Sgt. Mark Kachkowski. While many people like listening to music or looking at their phones while waiting for a bus or LRT train, Kachkowski said it's important to stay alert. "Don't turn your music up so loud that you can't hear what's going on around you," he added. In each of these recent robberies, the targeted person was approached by multiple suspects, as they were walking to or from a transit service, police said. The suspects used physical force or threatened the complainants with a weapon, before taking their personal electronics, said police. The police have a list of tips on safety on the EPS website.